This database is copyrighted and may not be distributed for sale without the express permission of the Larimer County Genelaogical Society. Contact our Publications Chair for more info. 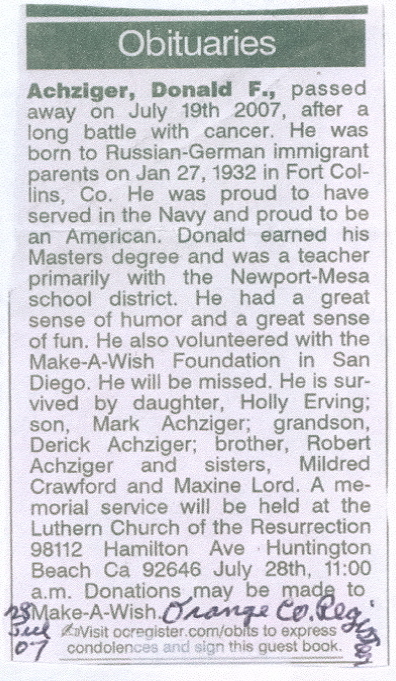 Thanks to Eleanor E. Borkenhagen for these obituaries of former Larimer County residents. 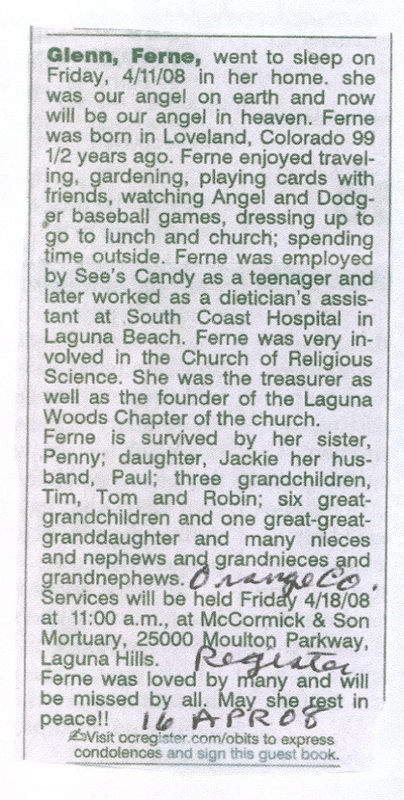 Eleanor clips obituaries from the Los Angeles Times and the Orange County Register. As she clips them, Eleanor sorts them by counties and sends them to the genealogical society that has a connection with the person in the obituaries. The following are obituaries that Eleanor found that relate to Fort Collins and various outlying towns. Copyright 1980-2013. All Rights Reserved!